And long may it continue to be so. Education is not a science. There can be no fixed set of absolutes for every context, culture or classroom with respect to what education is for, what works, and what does not work. It is arguable that most education research that takes a ‘scientific approach’, and most especially research that uses such an approach to prove the rights and wrongs of any specific techniques or approaches to teaching and learning, is a waste of time, money and effort, except in so far as if can add further fuel to the fire of debate within the field. Education is one of the humanities. It is a field of study and a domain of practice that can, and ought to, involve us in seeking insights from the broadest range of disciplines: philosophy, psychology, pedagogy (of course), sociology, the history of ideas, politics, social anthropology, cultural studies, media studies, and pretty much any other domain from which we can glean some understanding of the nature of what it means to be human. We can even take some lessons from Economics, that other nebulous and inexact sphere that some would pretend is a science: see my recent praise for The Learning Society, by Joseph Stiglitz, ostensibly an economics text but, in my view, a very important recent contribution to the global debate on education. And who knows, we might even one day learn something useful in education from neuroscience, a connection that has been much misused and abused to date, with too many people offering conclusions that hold no more water than would a phrenological take on learning. 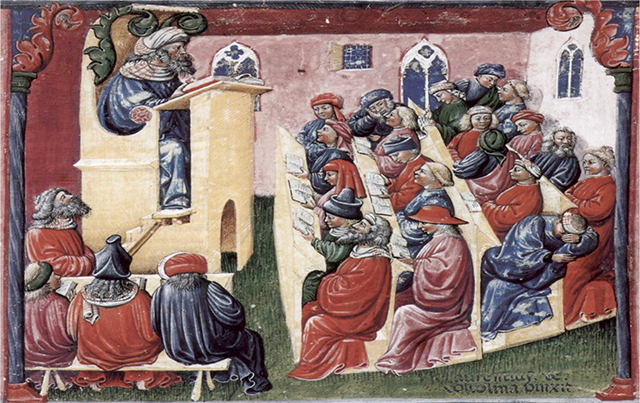 The classroom, at any stage in the long process of schooling, from kindergarten through to higher university study, is a domain in which theory and practice come together in a messy imbalance, with the truly thoughtful teachers willing to embrace both to differing extents at different times and in different contexts. Teaching as a craft is just as important as teaching as a theoretical discipline, coming together in a continual dialectic of study, thought, practice and change. This is precisely why every teacher has to be a conscious and constant learner. Those hoping to delve into the underlying reality of learning and teaching need to give thought to the bigger deeper questions that underpin learning, while at the same time seeking to understand the realities of supporting ourselves and others to learn. The act of teaching is a mysterious thing. No one really understands how teaching creates learning (or even if it does at all), although many pretend and believe that they do. Indeed, I have previously borrowed Ron Burnett‘s phrase (borrowed by him from others before him) about ‘the radical impossibility of teaching’, which should give every teacher pause to consider the notion that what is taught is rarely if ever what is learned by students. It is a notion that should cause us to think deeply about the nature of pedagogy and to look for innovative approaches to learning that take us ever further away from the age-old dependence on any simplistic form of knowledge-transfer-as- teaching. I have my own convictions on the nature of education – encapsulated in the short prose-poem I Am Learner. But my particular stance, continually developing and changing around a (to me) coherent core, is no more and no less valid than any other take on education. I of course reserve the right to cross swords in this exciting battleground of ideas with anyone who wishes to argue for their own philosophy and approach. It is precisely because of this ever-swirling vortex of ideas, opinions, ‘facts’ and beliefs about education that makes it, for me, the field in which I am happy to work and think and write and practice.